I finally finished the blanket I've been working on! I used Caron Simply Soft Yarn in Persimmon, Gold, Pistachio, Off White, Robin's Egg, and Victorian Rose (in case you were wondering). After my previous infertility posts, you might be surprised that I made a baby blanket. These days I avoid almost all things baby. But, this is not just any baby blanket. This one has a story to go with it. It's a story that doesn't have an ending yet, but I'm praying that it will soon. Learning about my Endometriosis last year was a total shock to me. There's nothing in this world that could have prepared me for that news. I was devastated. At times I still feel like there is no way for me to go forward. No way for the pain to stop so that I can live a normal life and no way for more children to come. It's been the biggest test of my faith ...... ever. But the Lord knows me pretty well. He's sent reminders of his love all along the way. I've had spiritual feelings about my future children. Confirmations that there are supposed to be more. My family is not complete. Maybe some of you out there don't believe in such things- it can be easy to dismiss them as your own thoughts and desires. Spiritual feelings aren't as concrete or as tangible as say a hug or a stub of the toe, although they are just as real and just as valid. Because of this, I know I'm not done yet, even though it seems impossible. So I started crocheting this blanket a few months back. It was an inspired thing, even though it doesn't make sense. I'm not pregnant and have no idea if I ever will be again. But this project was about moving forward. Physically doing something to show my faith in the Lord's plan for me. Now it's complete. Part of me hoped that I would be pregnant by the time it was finished. But the other part of me knows that the Lord is in control no matter what. Now it's a beautiful reminder of love and faith and the children that will find their way to me eventually...... all in the Lord's time. Beautiful blanket! I am always uplifted by your faith! It's a beautiful blanket and I wish you the best on having a future of children! Blessings.. I'm so glad you were inspired to make that blanket and for the hope and peace it brings to you. It's a beautiful blanket and a beautiful story! 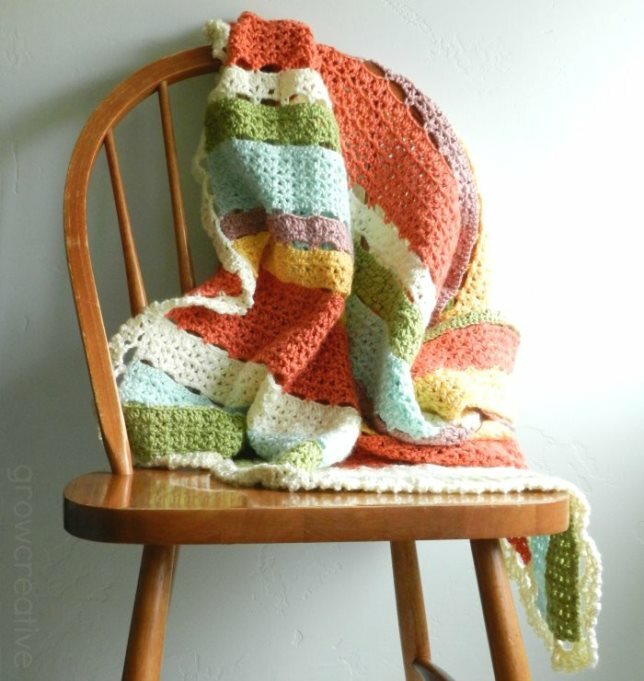 A beautiful blanket and sending you only good wishes for the future. What a beautiful blanket and a beautiful demonstration of faith. Thank you so much for sharing. Thank you Ana! Your comments are so kind and make me smile! 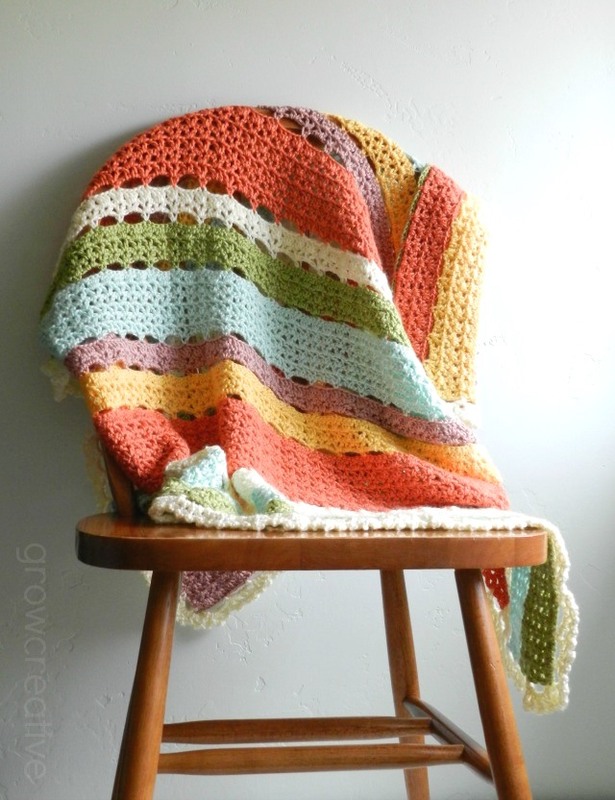 Very pretty blanket - love the pattern and all the colors - you did a great job crocheting this. 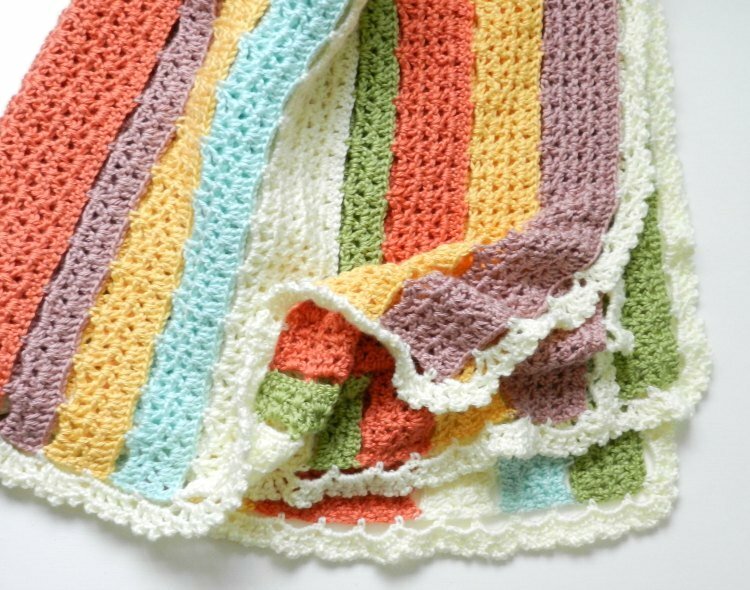 Tinkering with working out comment tech and had to return to this post because I want very much to say that this is hands down the prettiest crocheted blanket i have ever seen. Love it to pieces. Thank you so much Pam! I'm glad you worked out the commenting bug! What a beautiful blanket, and a beautiful story! Keep positive. After 5 miscarriages and finding out I had bi-cornuate uterus, I thought I would never have children. My daughter is almost 9 months old. Thank you for sharing! Hi! Beautiful blanket well done! I am doing the same I also have endo and hoping for a baby so I have also started making blankets and things for our glory box! Hoping to put it out there!